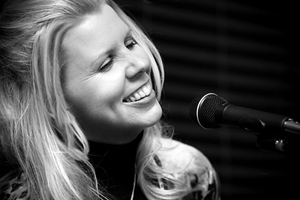 Originally from the Boston area, Lori is a veteran pianist, singer/songwriter. Throughout the nineties, she was playing keys and singing harmonies for the Boston-based bands, Bee Charmers(acoustic pop/rock) and Upper Level Garage(Motown/blues). Since the release of her solo CD, Bound, in 2003, Lori has spent the better part of this decade performing as a soloist in the New England area. Her musical contributions can also be found on the CDs of various local artists. Lori has been described as a cross between Joni Mitchell, Aimee Mann and Alicia Keys. With her soulful vocals, thoughtful lyrics and lush piano work, she has all the ingredients for creating beautiful music. Her newest CD, 'Mystery' was released in February 2009. This album is piano based, with songs of love, loss, gratitude and other facets of the human experience.